This class is great for the curious at heart who want to learn more about making glass by hand. 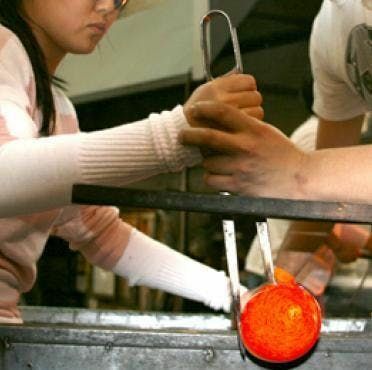 Students will begin to learn about the fluid nature of glass by working directly with the 2100 degree molten glass to form and shape it into beautiful hand crafted art objects. Each student should expect a hands on experience and to work as team to help complete their projects. No experience necessary.